At this same time last year I had just finished a job that supposed a new and interesting challenge for me. I have been writing for years, not only about beer here on the blog and other media, but also stories and essays. And even poetry on occasion. Besides, my profession has required me to translate a remarkable number of documents, mostly on financial regulation and banking operative procedures. 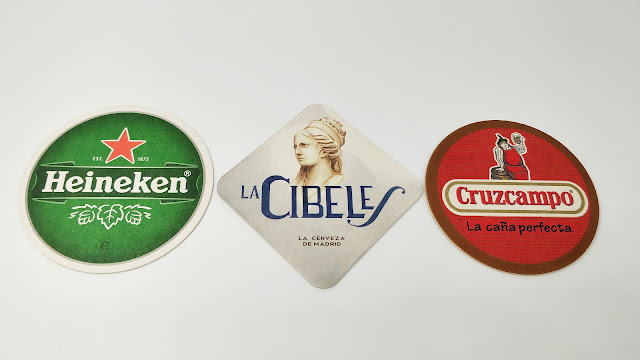 Never before, however, had I exercised professional translation: an opportunity which, linked to my passion for beer, I did not hesitate to take advantage of as it arose. 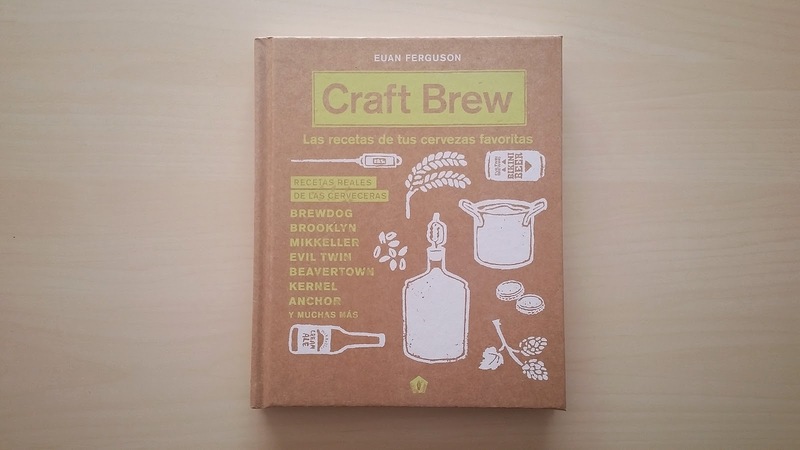 "For its content and quality, a good gift for Sant Jordi both for homebrewers and beer enthusiasts"
The result of this opportunity, along with the effort and work methodology applied later, is the Spanish translation of Craft Brew, a book by English writer Euan Ferguson, containing 57 recipes from renowned brewers from all over the world. 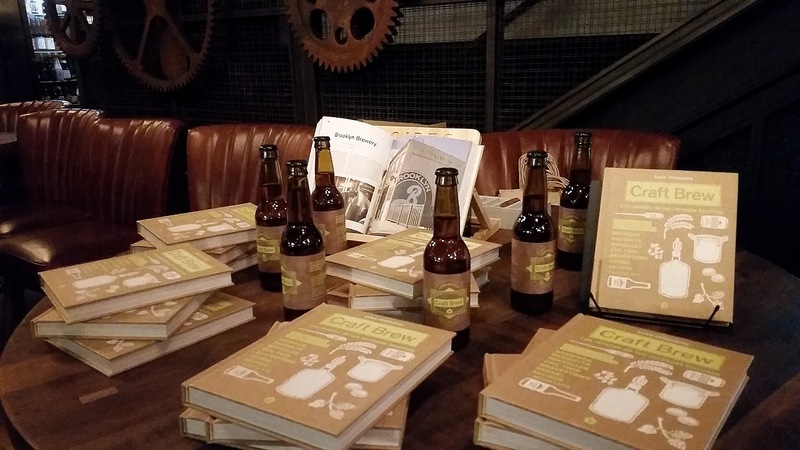 The initial 40 pages contain all the necessary introductory information: beer and its ingredients, the elements of a homebrewing equipment and a user guide to the book recipes. Sorted by style, the recipes are accompanied by some context, being adapted for their preparation at a small scale -20 liters-. In its Spanish version, the book also includes an additional section with some outstanding craft breweries from down here. This content was coordinated by Pablo Vijande, and I helped to adapt it and write it for its stylistic integration with the rest of the book. Of course, translating is a different thing than writing. It requires an empathy with an author who, in my case, I did not know in advance to better understand what he wanted to express, and how he wanted to do it, so that I could emulate his expressiveness in a different language while respecting to the original content to its maximum. There is also the obvious space limit, which adds difficulty to the task, as Spanish is not as pragmatic and direct as English is. Still, I was lucky that I liked the approach of the book, as well as the author's style, so my task as a translator was much more pleasant and easy. And in the end, after many hours surfing through a book and putting oneself in the author's shoes, you write the book in another language. And you almost feel as if it is your own: something I did not anticipate that would happen to me. Moments before the presentation of the book in NaparBCN, last October. It might be wrong of me to say it, but I am very satisfied with the result and the quality of the book. In its original version it already is a visually attractive work, with good photography and a neat, clean presentation of contents. The translated edition of Cinco Tintas preserves this quality, being a robust book, with a pleasant format for the reader and a quality print on the pages; while not failling to have an interesting content. The author did a proper job. Now somebody else, please, judge the Spanish translator. If you are currently reading this post in the English version of the blog, it is highly likely that you might not give a darn about my translating a book you can already read in its original version. But anyway, it is Saint George's Day in Catalonia. And I translate everything I write, so here's this week's post for you! Besides, I can assure you that after working on its translation I was left with a tremendous desire to brew: so if you are homebrewer, or just passionate about beer and elaboration, do not hesitate to get one -be it in its original version or translated, as you please-. In case you were interested you can buy your copy in bookstores, specialised stores, Cinco Tintas's website or through Más Malta's. Plenty of choice! Transparency disclaimer: as pointed out throughout the post, I am Craft Brew's translator to Spanish; but I do not receive any type of remuneration for its sales or publicity.